I have written several books on the subject. 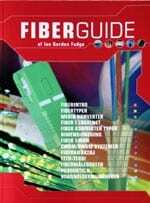 Fiberguide, is my first book in English, and in a simple way tels you a lot about fiber optics. it is not a technical book, but more an introduction to fiber optics. lots of pictures. the othe fiber books have only been published in Danish, so click on the Dainish flag, to se a bit about them.